On Monday evening, August 3, starting at 6:30, the Brooklyn Historical Society, as part of its “Movie Mondays” (first Monday of each month) series, will present a screening of two films in which “[t]he line between reality and fantasy is blurred”: Marina Fernández Ferri’s short film Temblor and Spanish director Victor Erice’s 1973 classic The Spirit of the Beehive. Admission is free, but you must reserve tickets here. On Tuesday evening, August 4, starting at 6:30 there will be a tour of the Greenpoint studio of stone carver Chris Pellettieri. Admission is $15, or $10 for BHS or Green-Wood members. Directions to the event will be included with the confirmation you will receive when you purchase tickets here; no tickets will be sold at the door. 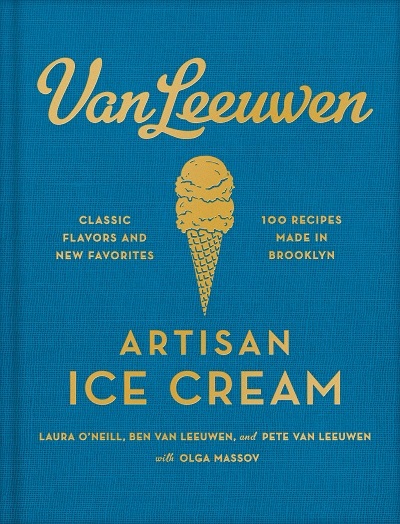 share some of the secrets behind their unique recipes and read from their new book Van Leeuwen Artisan Ice Cream. Samples will be provided! Admission is $5; free for BHS and Green-Wood members. Purchase or reserve tickets here. There’s more information here about these and other future events at BHS.